New Delhi/Islamabad: Pakistan Prime Minister Imran Khan on Friday late evening said he has received a message from his counterpart Narendra Modi on the occasion of Pakistan National Day on Saturday and said he welcomes the gesture as the two sides must move forward for a 'comprehensive dialogue'. "I welcome PM Modi's message to our people. As we celebrate Pakistan Day I believe it is time to begin a comprehensive dialogue with India to address and resolve all issues," Imran Khan tweeted. 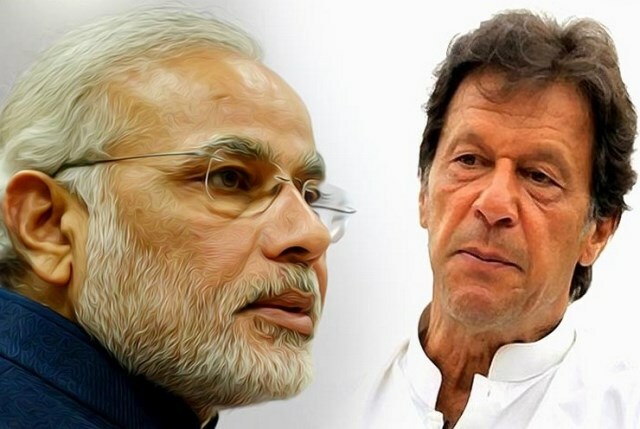 Meanwhile, Indian government sources there is nothing unusual about the message as "Prime Minister sends a customary message on National Days to other Heads of States or Governments".Sources further said PM Modi's message to Imran Khan "highlighted the importance of a terror free South Asia". In his tweet, Imran Khan further wrote: "Received msg from PM Modi: "I extend my greetings & best wishes to the people of Pakistan on the National Day of Pakistan. It is time that people of Sub-continent work together for a democratic, peaceful, progressive & prosperous region, in an atmosphere free of terror and violence". The Congress party on Friday sought a clarification from Prime Minister on the tweet by Pakistan Prime Minister Imran Khan claiming that Mr Modi had extended greetings to the people of the neighbouring country on their National Day. Demanding a clarification from the PM on Imran's tweet, AICC spokesperson Priyanka Chaturvedi said, '' would hope the @PMOIndia clarifies that what Imran Khan has tweeted is the correct version of greetings exchanged or whether if they have been exchanged at all, especially after the function was boycotted in India by the govt. The nation would want to know...''.